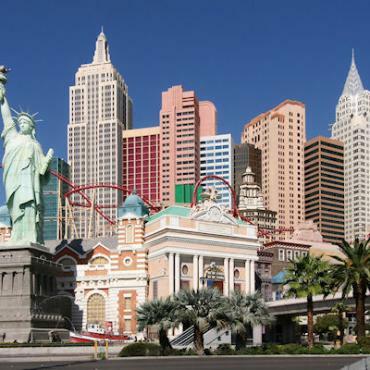 Four of the USA's most iconic cities, over 14 nights, with no driving! 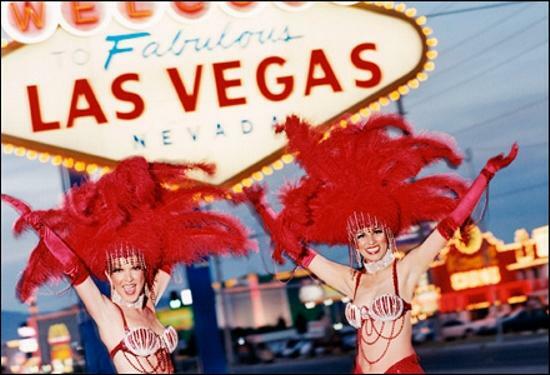 Start with the flashing neon lights of Las Vegas. 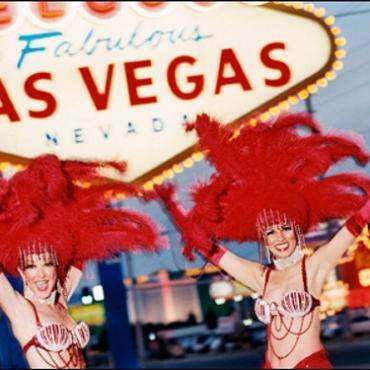 Walk the strip, see a show and soak up the atmosphere of this desert gem. Then it's on to New Orleans and their eclectic voodoo heritage. It's also the ideal place to sample some Cajun and Creole cuisine before heading to Memphis - the birthplace of rock and roll and Elvis' home - Graceland. Finally, spend a few days along a Great Lake amidst the skyscrapers and mob history that make Chicago one of the USA's most interesting cities. Chicago city tour with a cop! Welcome to wonderfully O.T.T. Las Vegas and three full days to explore. We've included an open-top sightseeing bus tour which stops at 15 spots throughout the city, so sit back, relax and enjoy the show. If you've been to Vegas before, this might be the time to get off the strip and see what lies beyond the city. For sure, a Grand Canyon helicopter ride is a must. 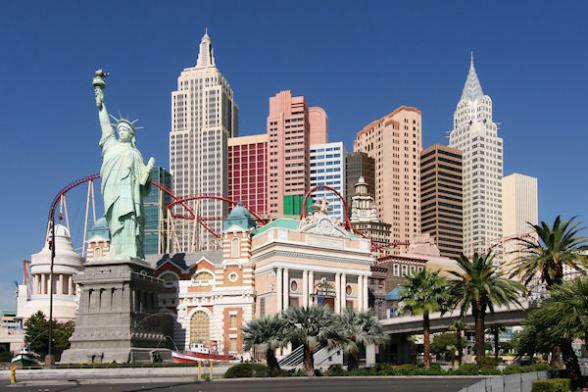 Rent a car for a day and get out and explore nearby Hoover Dam, Lake Mead, Valley of the Fire and Death Valley are great day trips that we can help you sort ahead of your visit. Leave behind the neon lights of 'Sin City' and head out today on a morning flight to 'The Big Easy', New Orleans. 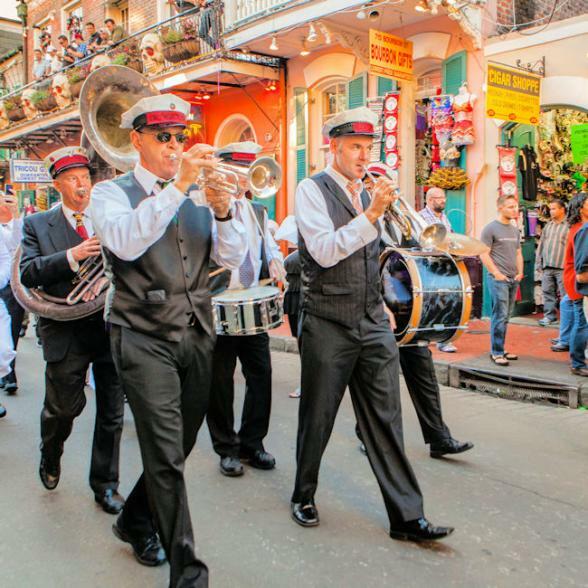 In stark contrast to sprawling Las Vegas, New Orleans is an intimate experience. Founded in 1718, historic New Orleans is an extremely walk-able city just begging to be explored. Head for the charming French Quarter with it's spectacular architecture and the lively jazz clubs that made Bourbon Street famous. Don't be fooled into thinking it's all about booze and debauchery. New Orleans' story is a fascinating one with many layers - including it's Voodoo heritage, brought to French Louisiana during the colonial period by enslaved Africans from West Africa. Their knowledge of herbs, poisons and the ritual creation of charms and amulets, intended to protect oneself or harm others, became key elements of Louisiana Voodoo. 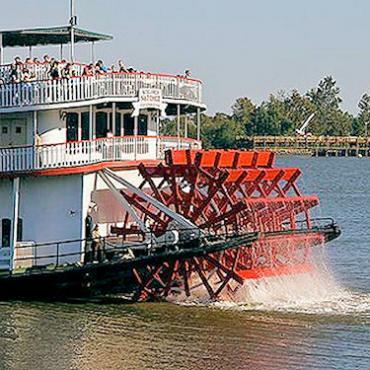 We've included a cemetery and voodoo tour during your stay, as well as a leisurely cruise along the Mississippi River on an authentic paddlewheeler. Venture out of the city and you'll encounter magnificent plantation homes dotted along Mississippi River, each one grander than the next. Bon Voyage can suggest and pre-book a plantation tour for you. All aboard! 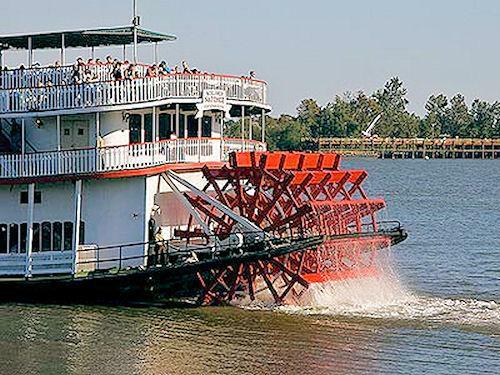 It's an early afternoon departure on the 'City of New Orleans' train which meanders through the swamplands of Louisiana and the cotton fields of Mississippi before arriving at your next destination, the birthplace of Rock 'n' Roll - Memphis, Tennessee. By day we've included entrance to Graceland, its grounds and exhibitions plus one of the world's most famous recording studios, Sun Studios. 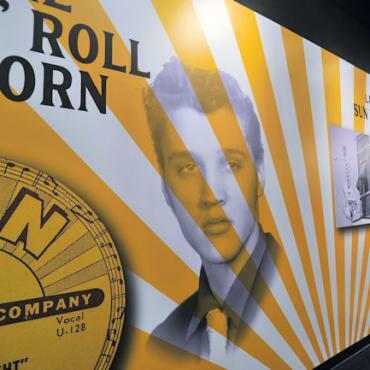 Your guide will recall tales of Elvis, Johnny, Carl and Jerry Lee making music back in the day! Make sure to save time for the Rock n Soul Museum, where entrance is also included as part of your holiday. If Civil Rights history is of interest, the powerful National Civil Rights Museum located at the Lorraine Motel is an absolute must-do, as is Slave Haven, part of the secret Underground Railroad. Each evening head for legendary, Beale Street, a melting-pot of music where delta blues, jazz, rock 'n' roll, R&B and gospel fill the air. This historic district was declared the 'Home of the Blues' by an act of Congress. With such a rich history of legendary performers such as Albert King, Louis Armstrong, Memphis Minnie, Muddy Waters and B.B. King... it's no wonder. Elvis fan? 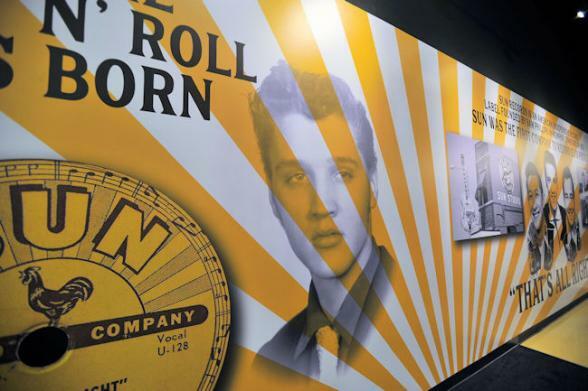 Enquire about our day trips to Tupelo, birthplace of the King, or the Delta Blues region which was a huge inspiration for his music. It's an evening departure on the 'City of New Orleans' from Memphis via Kentucky and Illinois to the Windy City. 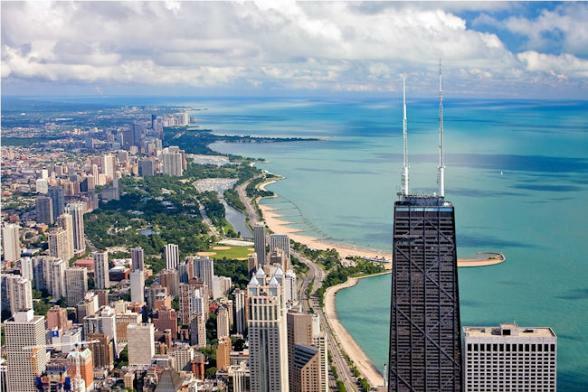 We've included sleeper accommodation so you'll arrive in Chicago the next morning relaxed and ready to explore the birthplace of the Skyscraper, the start of historic Route 66, stomping grounds of Al Capone and home to delicious deep-dish pizza. Welcome to Chi-Town! Start your visit with a private walking tour - Chicago with a Cop! Dennis is an ex-policeman with loads of knowledge and stories which he'll happily share as you stroll this incredible city. Not often exploited, but true nonetheless, Al Capone and 'the boys' had a major operation in Chicago during the 1930s Prohibition Era and one of the best ways to learn more is the Untouchable Tour - ask us to pre-book this for you. 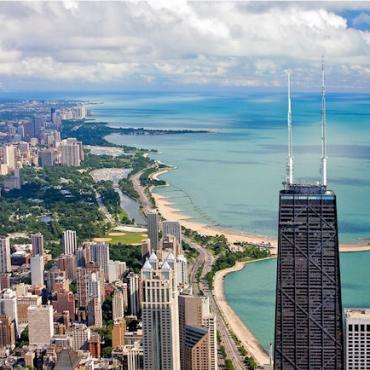 No trip to Chicago would be complete without a skyscraper or two - we adore the John Hancock Building with breathtaking 360 degrees views of the skyline and Lake Michigan. 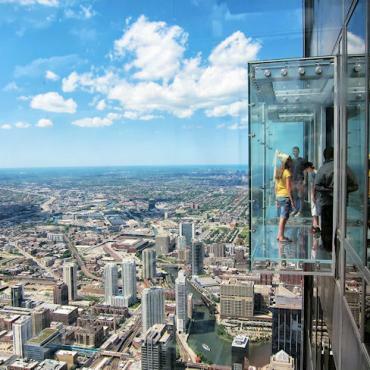 The observation deck, known as 360 Chicago is where you’ll find TILT – Chicago’s highest thrill ride – an enclosed moving platform that literally tilts you out over Michigan Avenue from the 94th floor! After that, we recommend heading to Bar 94 (on the same floor) for a much needed adult beverage. 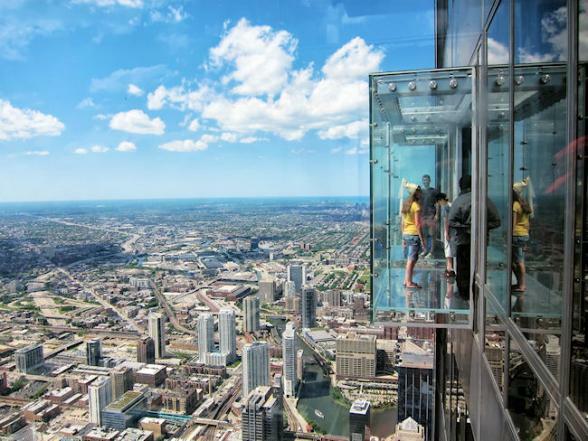 If that wasn't enough, head to the Willis Tower and The Ledge - a glass balcony which extends four feet over the 103rd floor of the building. Now let's talk pizza - Chicago is famous for it and it is kind of mandatory! There's no shortage of deep dish pie specialists, but our favourites are Gino's, Pizzeria Uno, Giordano's and Lou Malnati's. Baseball fans, be sure to visit Wrigley Field, a Chicago icon since 1914. Built in a residential neighbourhood, the stadium is proper old school and Wrigleyville is electric during game days. Spend your last morning in Chicago mooching Michigan Avenue before your flight back to the UK. Not ready to go home? We can add a few more non-driving USA cities like New York or Boston. OR, maybe you fancy jumping in the car for a few days around the Great Lakes or the beginning of Route 66? It's all possible, just call Bon Voyage and we'll expertly create your dream holiday.